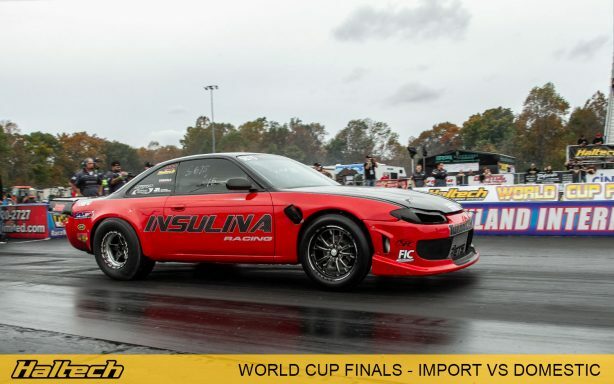 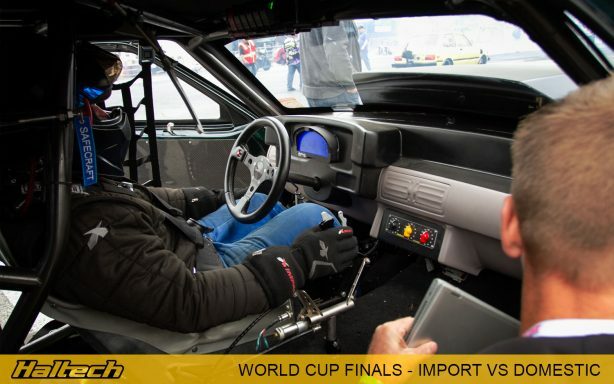 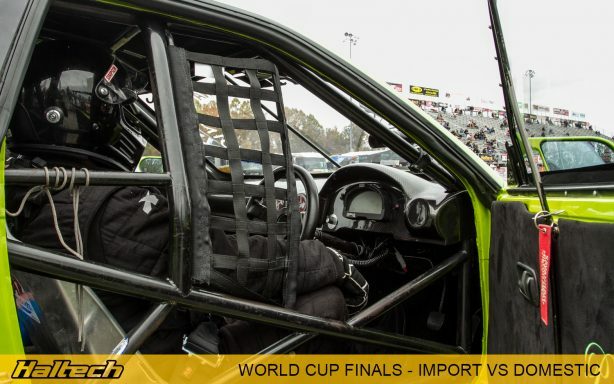 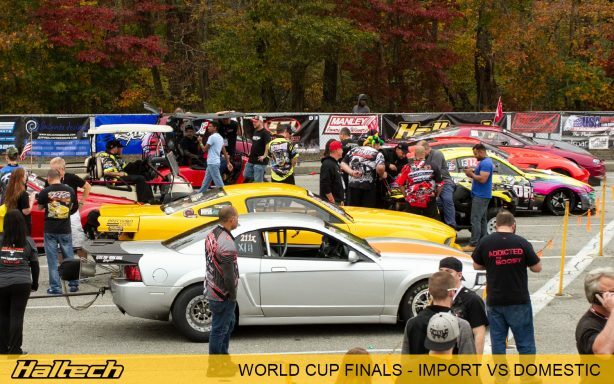 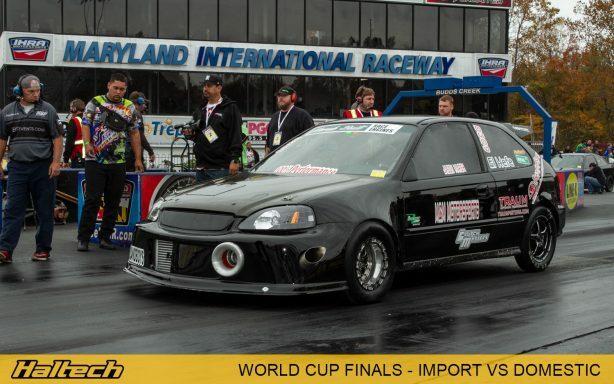 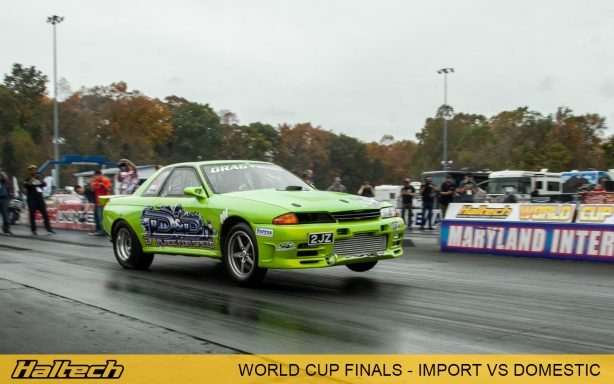 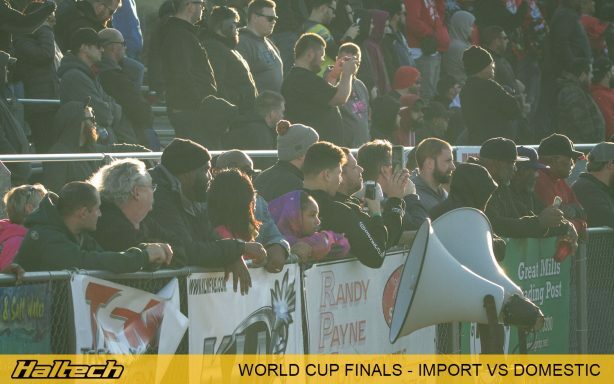 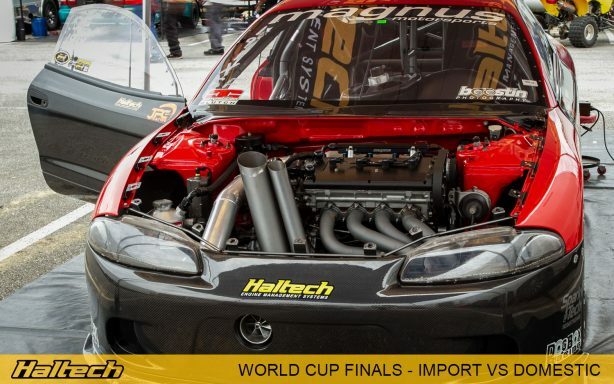 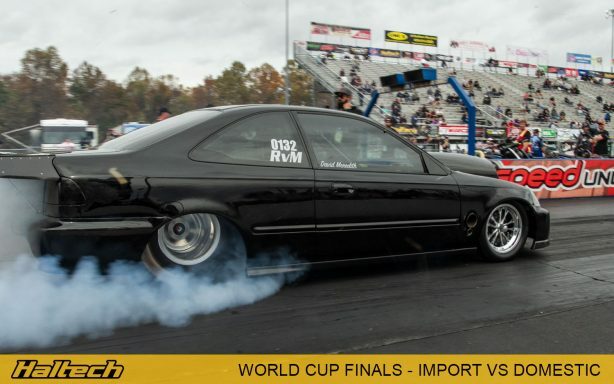 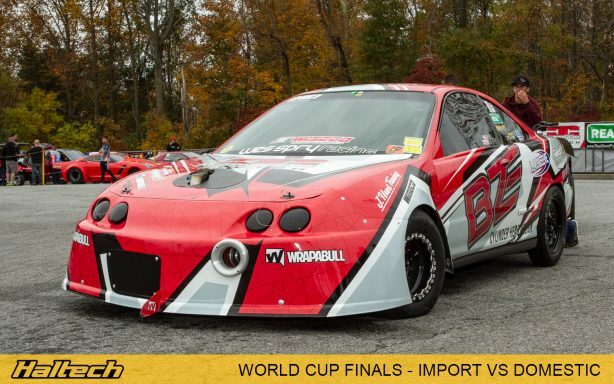 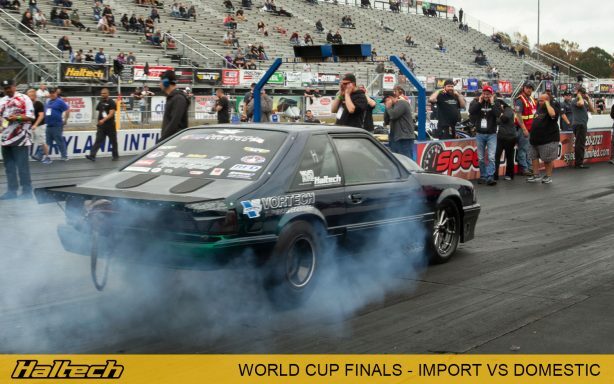 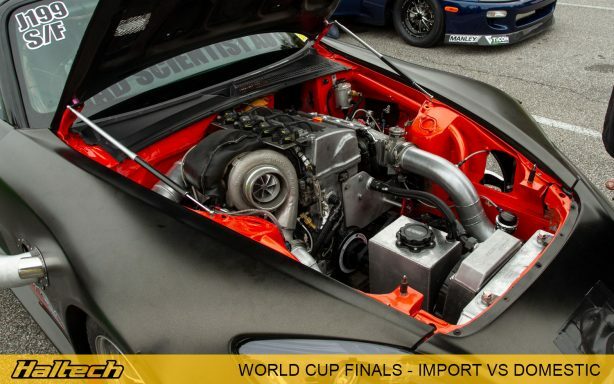 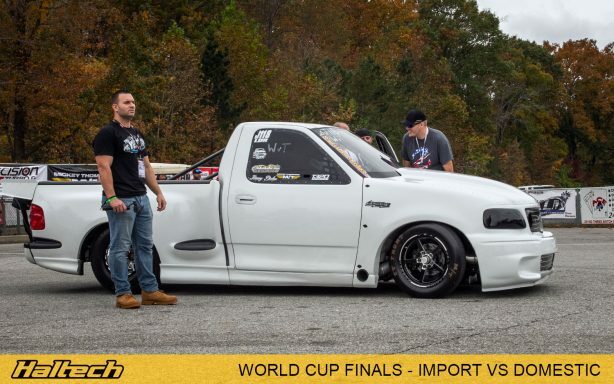 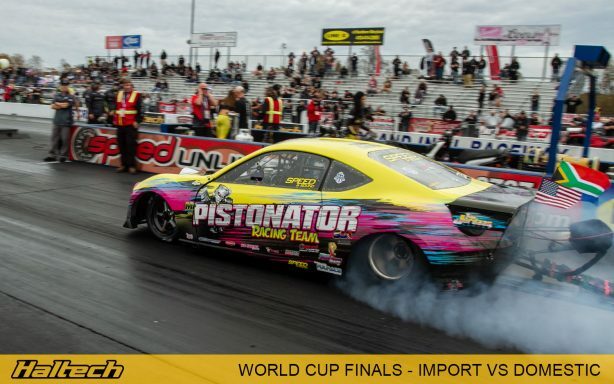 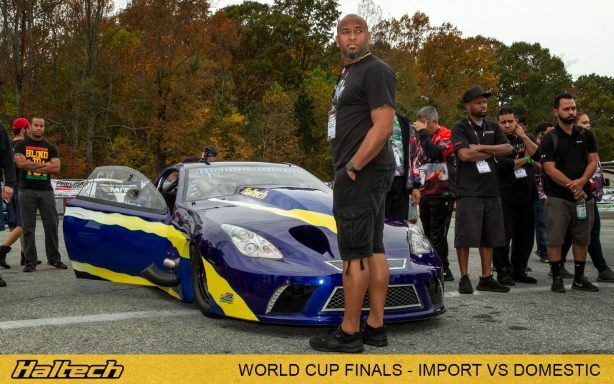 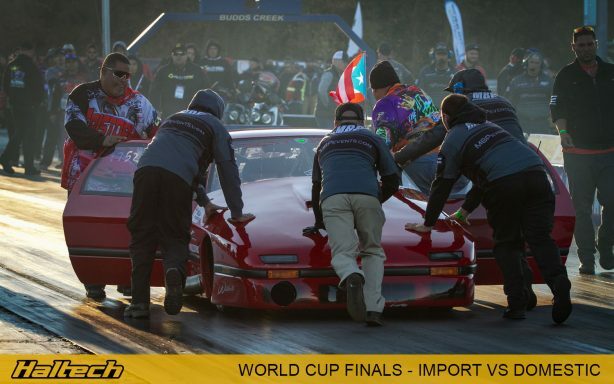 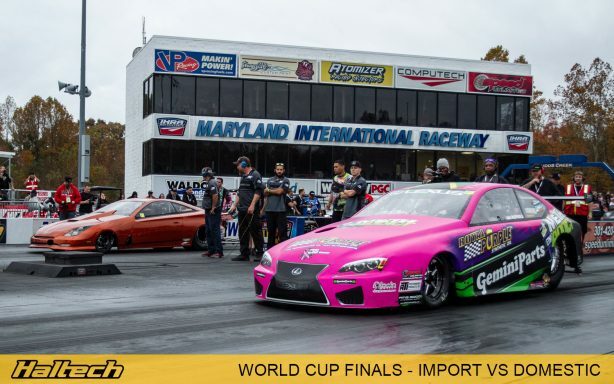 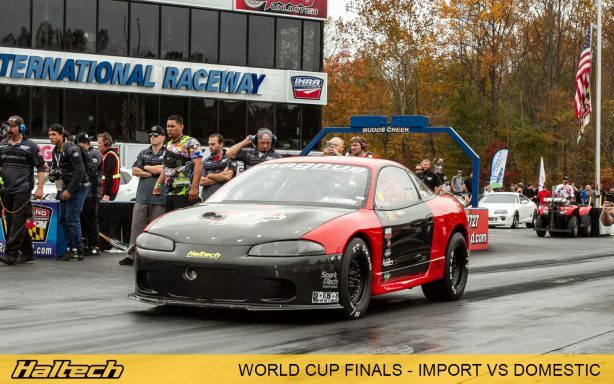 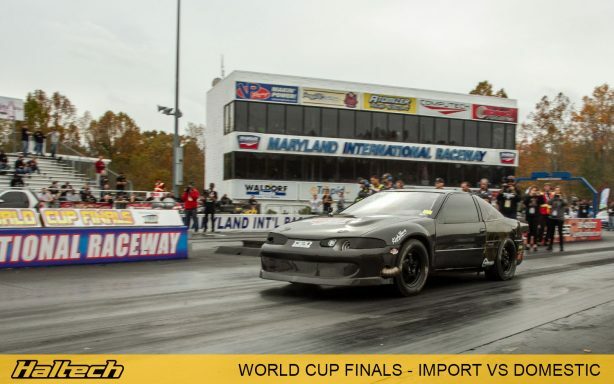 There is a number of reasons why the Haltech World Cup Finals – Import vs Domestic continues to be the biggest, best attended and the most exciting event on the American drag racing calendar. 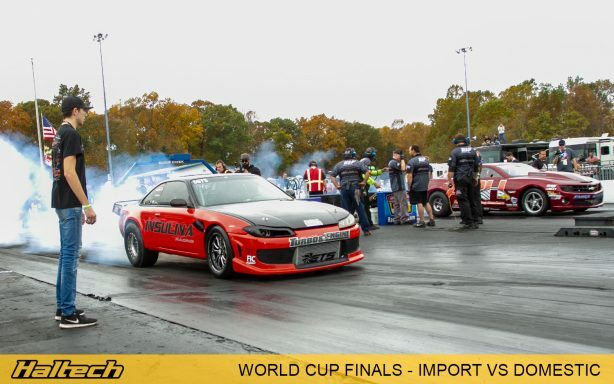 Pitting the fastest imports against their domestic counterparts is a part of the formula, add to it the timing – right after all the racing season’s finals and throw in some good weather, a well-prepared track and you’ve got yourself one heck of an event. 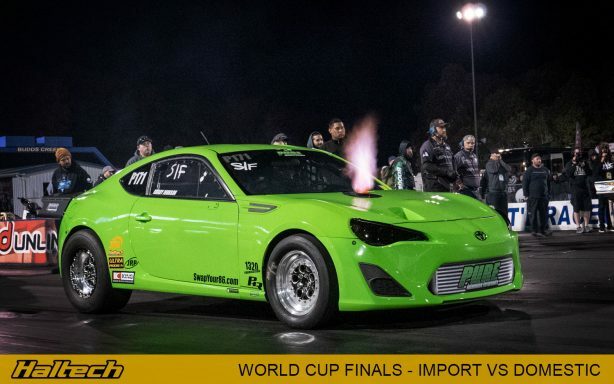 According to Jason Miller, the event promoter and organiser, this year’s WCF was one of, if not the biggest to date with a record number of participants both on and off the track. 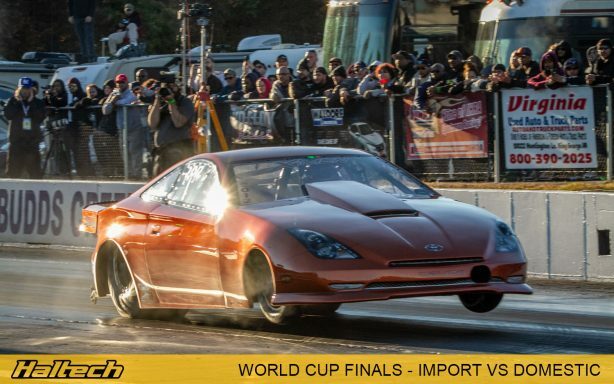 And the records were not limited to the crowd or competitor numbers either. 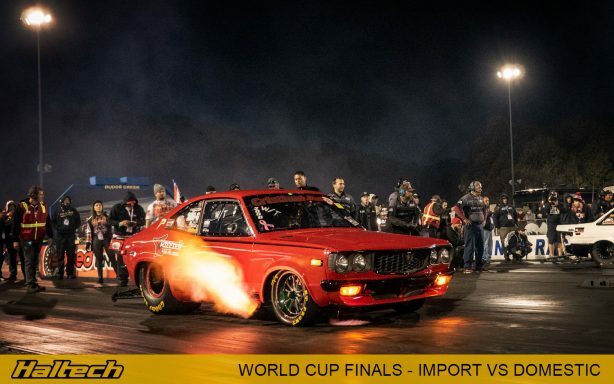 With several track and class records broken in qualifying along and a string of five second passes to boot this was one of the most exciting World Cup Finals to date. 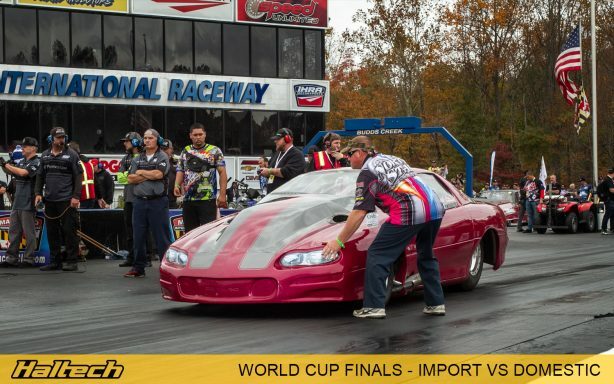 Competing in Warriors vs Tres Cuarto, Jimmy Dolan and The Yetti (’04 Lightning) set a new PB of 6.725@208mph. 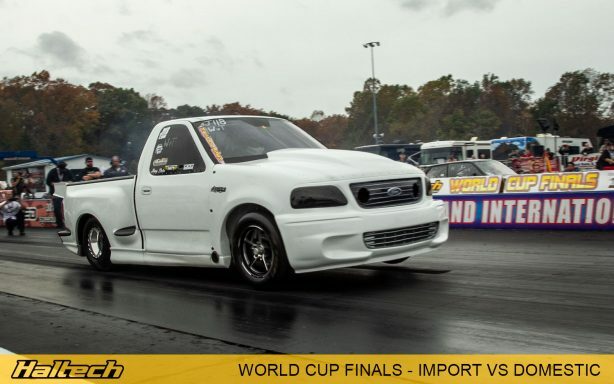 Jimmy’s Haltech-powered Yetti is only the second ever Six Second Ford Lightning in the country. 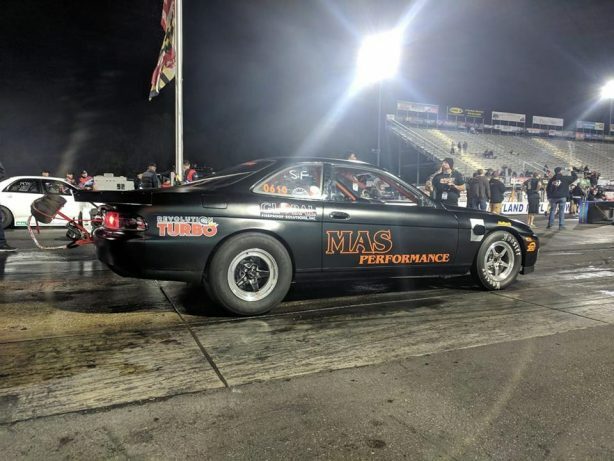 The ET also earned Jimmy the No.1 qualifying spot and a new radial truck track record at the Maryland International Raceway! 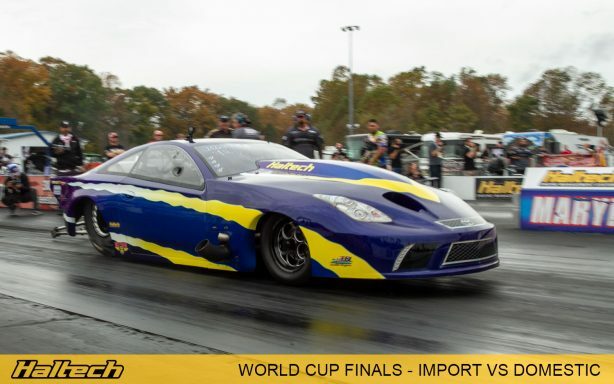 A new PB and back to back 5-second passes for Dale Collins Jr and the Haltech-powered Raspberry Rocket makes it the world record holder for both 10.5 and radial over the quarter mile. 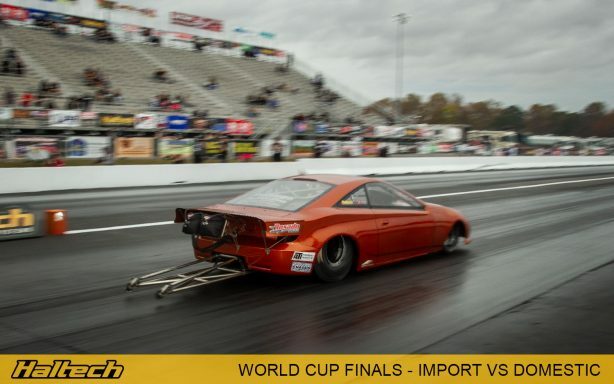 Unfortunately in the second round of eliminations, after winning the race, Dale’s chute did not deploy causing a hair raising crash at the end of the track. 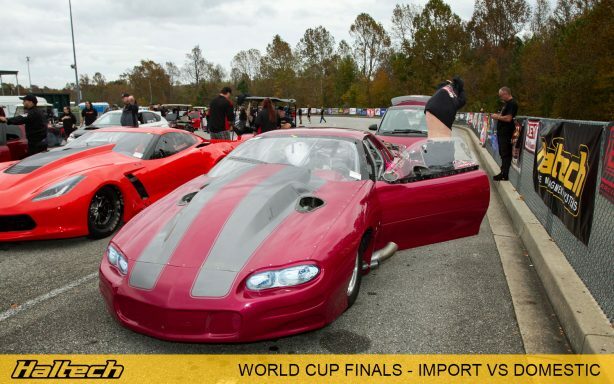 Luckily Dale escaped unharmed but the car ended the event with a serious damage to the front end. 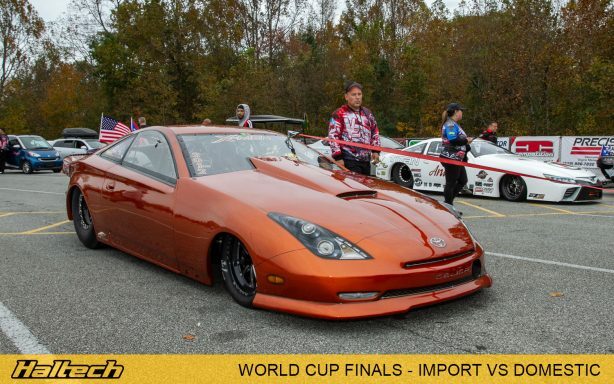 Damon Chin and his “Rude Bwoy” 2JZ Celica competed in the Outlaw vs Extreme class. 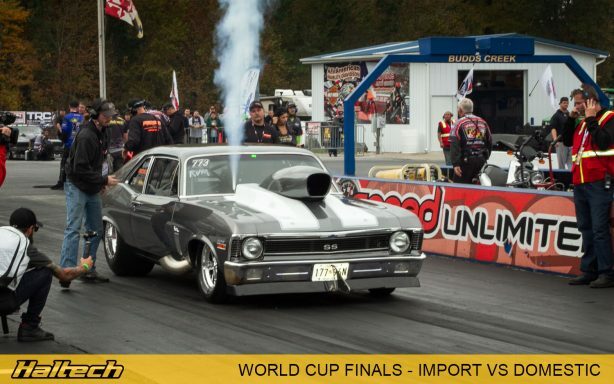 With a string of low 6-sec passes, Damon progressed all the way to semis where he was knocked out by Michael Ziccardi in his ’70 Barracuda. 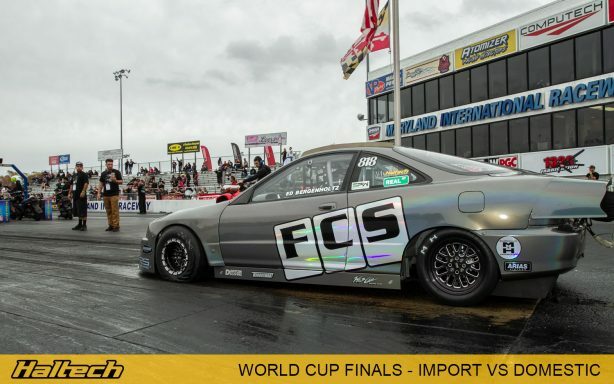 Last year’s WCF winner – Jaime Rodriguez and the El Versatil 2JZ Corolla also competed in Outlaw vs Extreme smashing out low 6-sec passes with a mechanical precision. 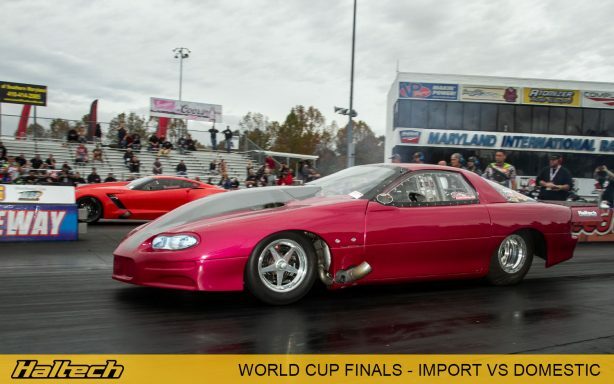 Jaime reset his PB in the first round of Eliminations with a 6.179@230mph pass. 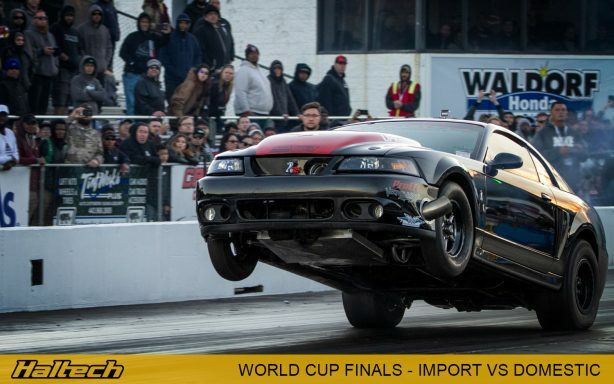 This qualified him in the No.1 spot. 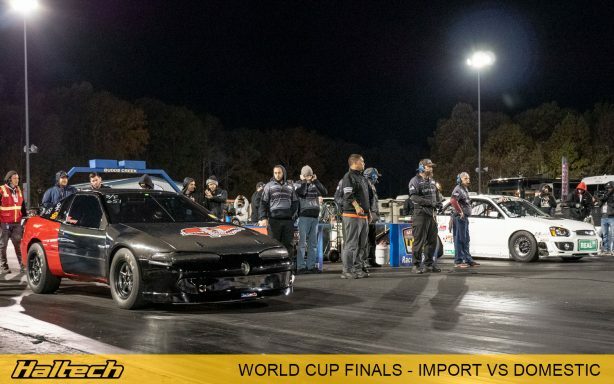 He progressed to the second round of Eliminations where he was beaten by Karl Ritz. 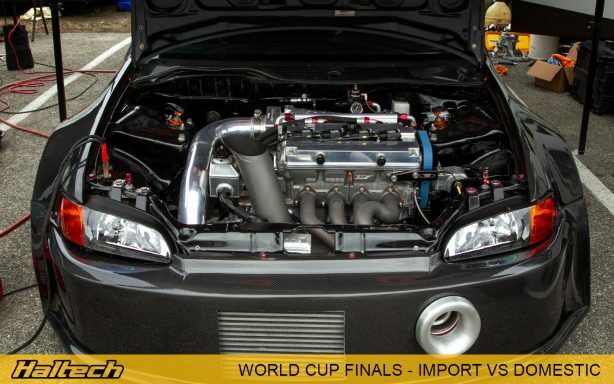 Larry Ramnath’s R32 GTR is powered by Toyota’s mighty 2JZ controlled by a Haltech ECU and also competed in the X275 vs Hot Rod class. 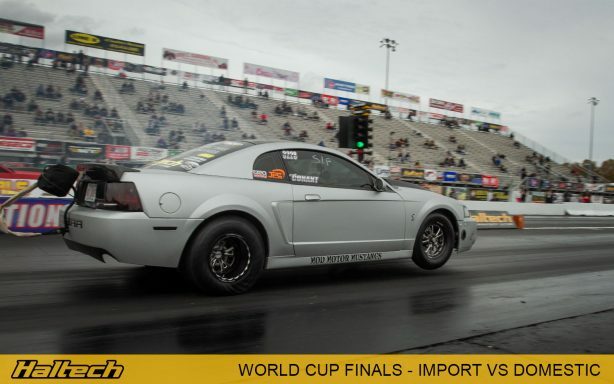 Staying with the X275 vs Hot Rod class, Craig Walls’ supercharged, 6-sec Mustang made quite an impact early on. 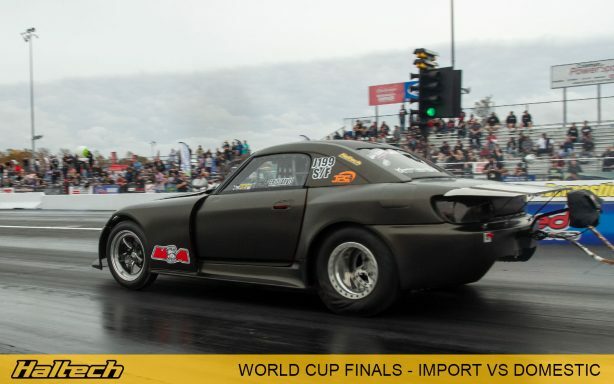 Craig managed to run a PB in qualifying before destroying his supercharger. 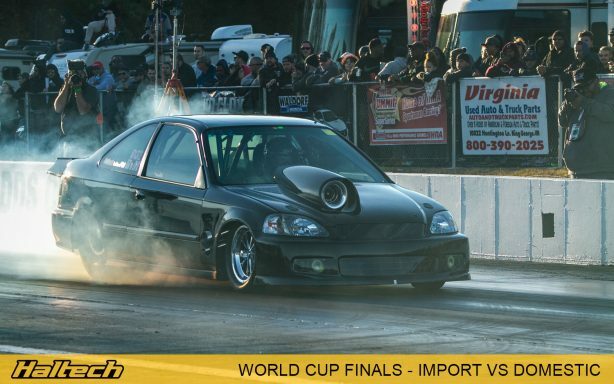 In Street Fighter, Devin Schultz’s and his ’96 Talon performed faultlessly. 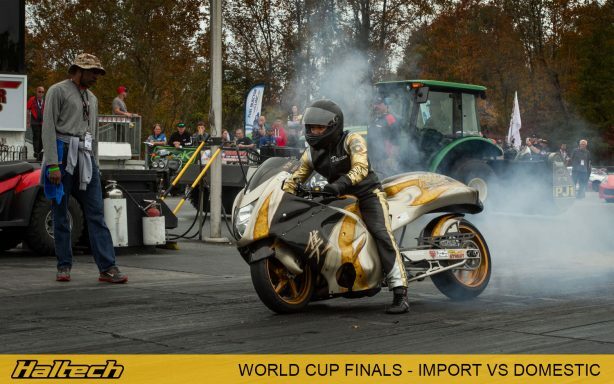 The pair progressed to the semi-finals where their winning streak was ended Domenic Didonato and his Cobra. 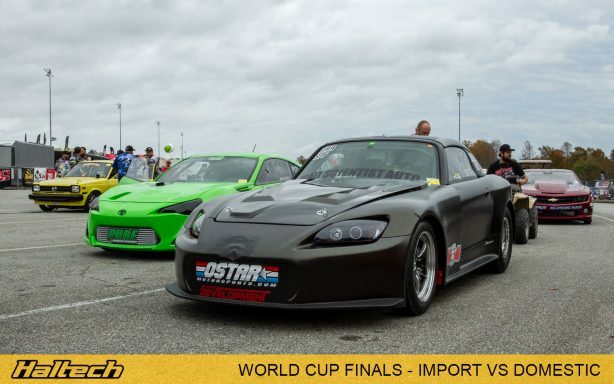 Also competing in Street Fighter were Eric Jarvis and his Honda S2000. 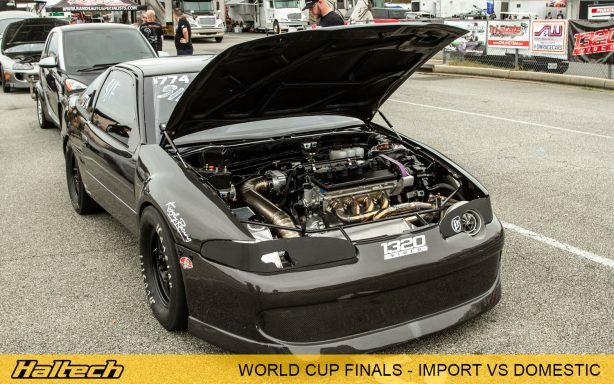 Eric progressed all the way to quarter finals where he was defeated by Devin Schultz in his Eagle Talon. 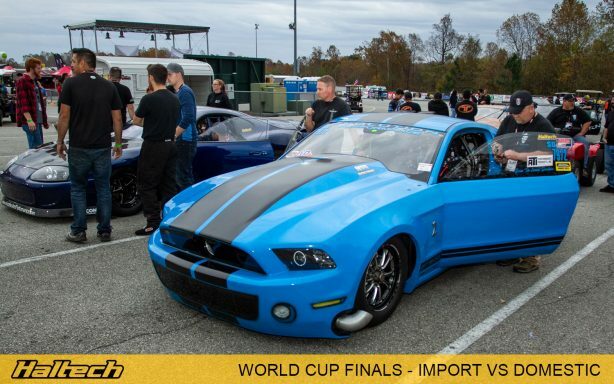 Competing in the same class were Jacob Conant and his Cobra. 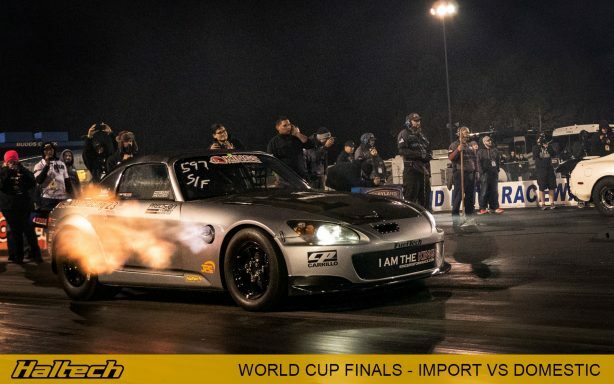 Jacob progressed to the second round of Eliminations where they got knocked out by Eric Jarvis in his S2000. 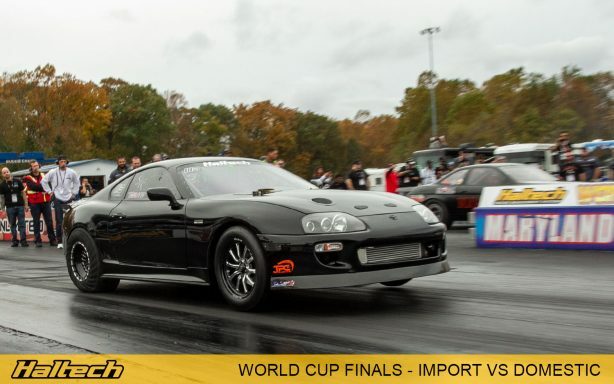 Big Daddy Supra representing Haltech in the Street Fighter class. 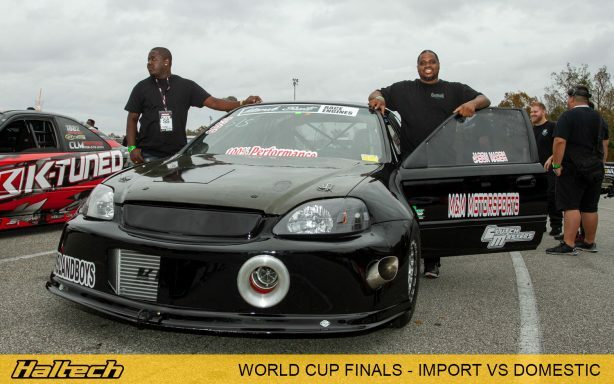 With Jason Ramkissoon behind the wheel, the car successfully fought its way to the quarter finals. 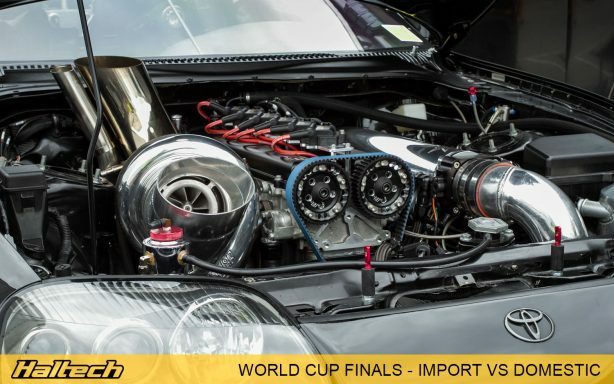 MAS Performance 2JZ powered SC300 set a new PB the world record for the fastest IRS Lexus SC chassis with a 7.50 pass in Street Fighter. 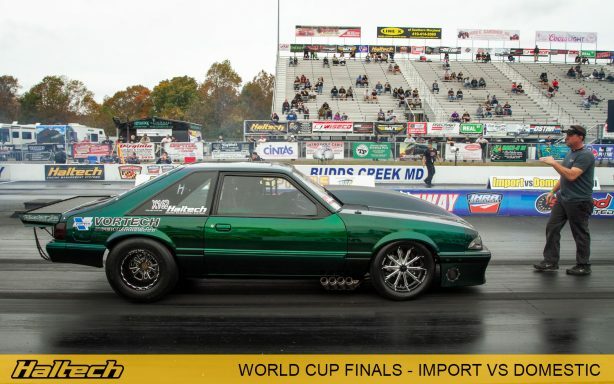 Beautifully presented ’97 Supra of Jack Couto. 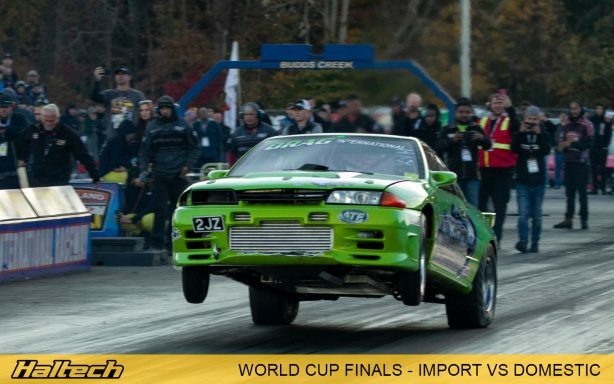 Jack progressed to Round 2 of Eliminations in Street Fighter. 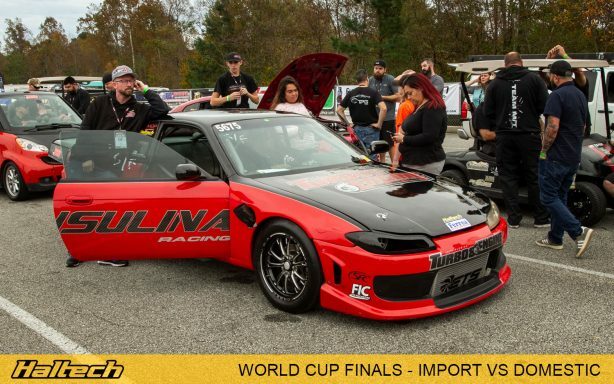 Silvio Leal in the Insulina Racing 240SX (S14/15). 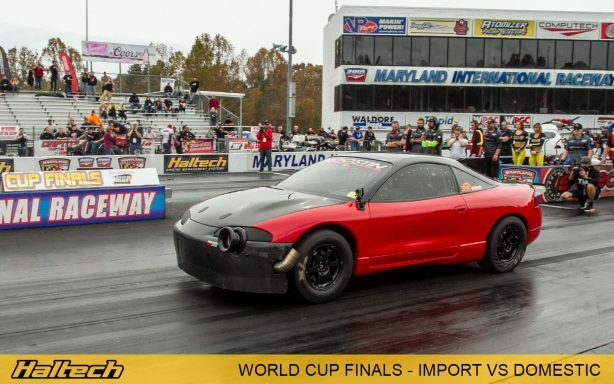 Trevor Holland in his ’92 Eagle Talon. 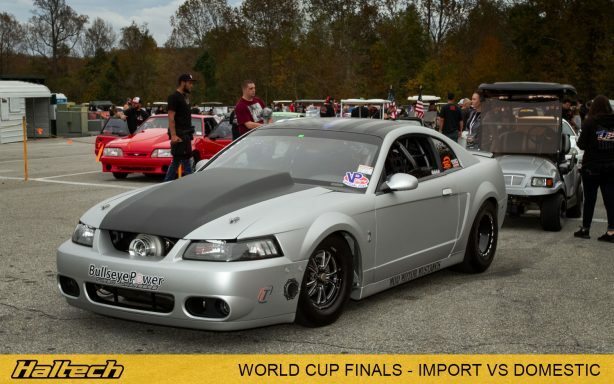 Mike Wohler in his ’97 Eclipse. 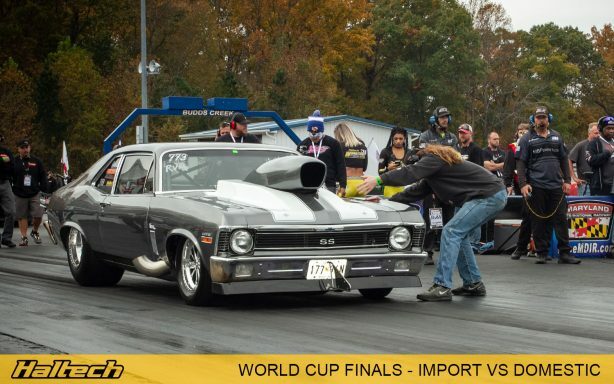 Michael Naumann in his ’70 Nova. 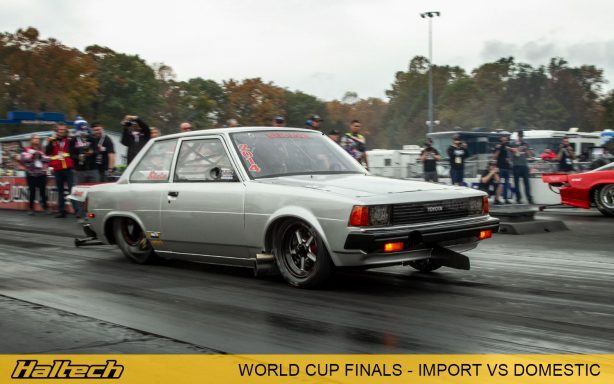 Competing in a Radial vs Modified, Michael’s Haltech controlled Nova ran a best ET of 6.813@193mph. 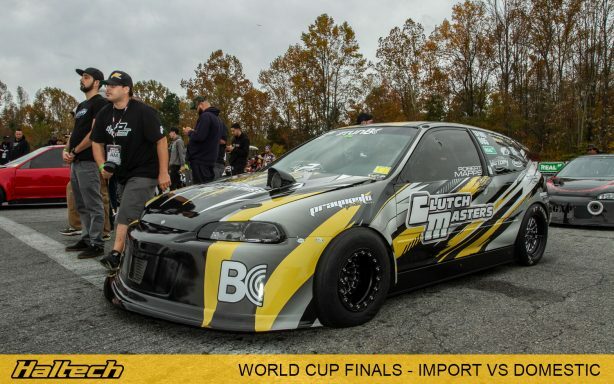 Look again – that’s right, it’s a RWD Honda Civic! 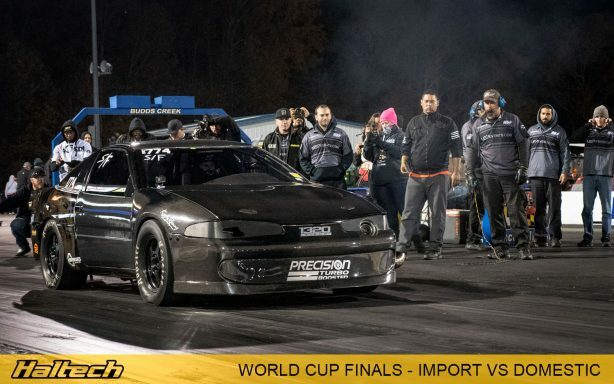 Using a turbocharged H22 engine and a Haltech ECU, David Meredith’s car smashed out a 7.09@198mph pass in testing for the Radial vs Modified class. 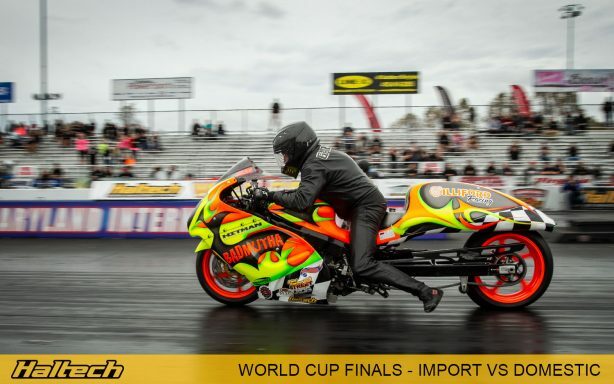 Carlos Santiago qualified with a 6.791sec pass and progressed to Elimination Round 2 where he got knocked out by the eventual class winner, Muhammad Ali. 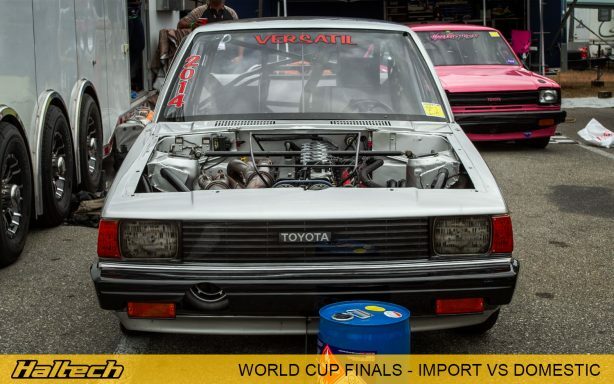 Carlos’ Celica runs a four-cylinder 3SGTE engine with Haltech Elite ECU in control. 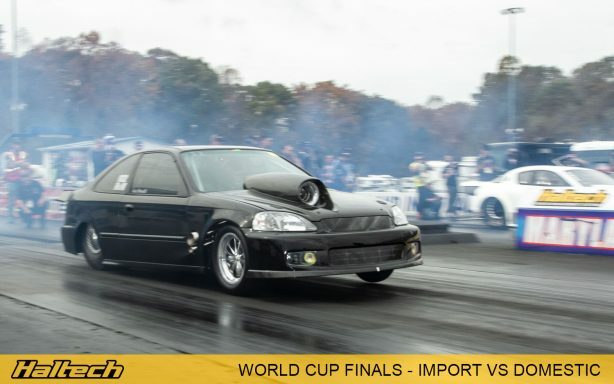 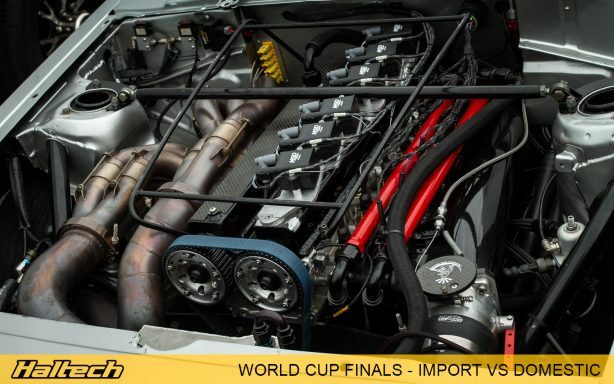 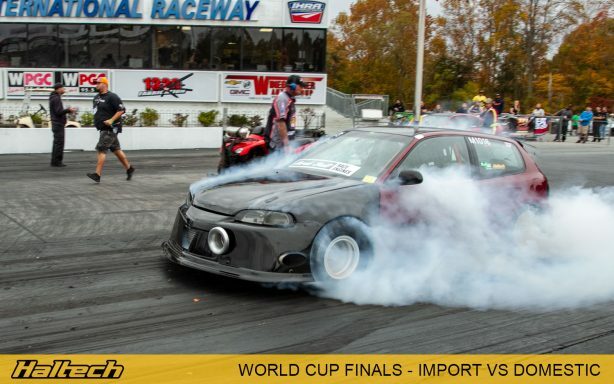 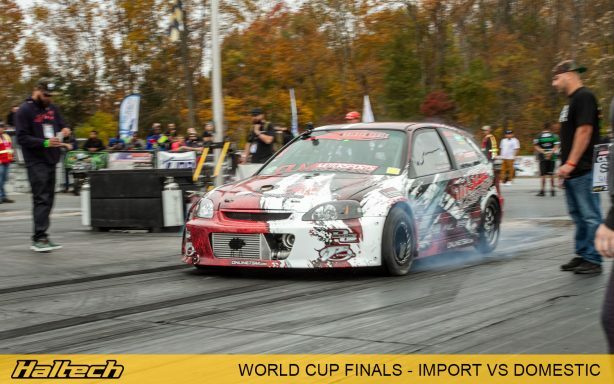 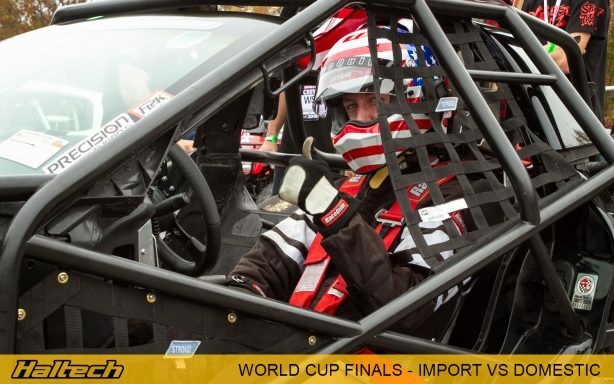 Representing South Africa at the World Cup Finals were Team Pistonator and Team Meth Addicts. 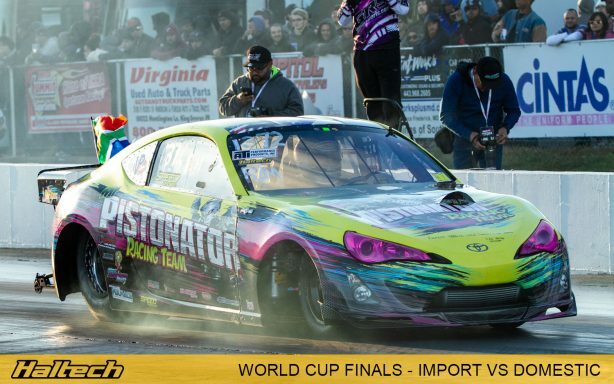 Driven by Duppie Du Plessis, The Pistonator Toyota 86 is powered by a 4AGE turbo and controlled by a Haltech ECU. 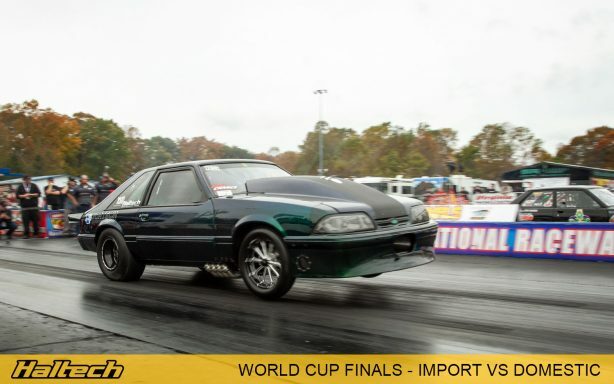 Duppie reset his PB at WCF with a 7.29@186mph pass. 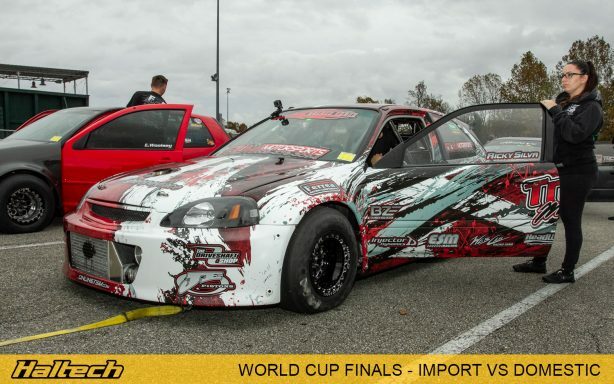 Ian Repsold piloted The Meth Addict, an IS250 powered by a 2JZ engine and also controlled by a Haltech ECU. 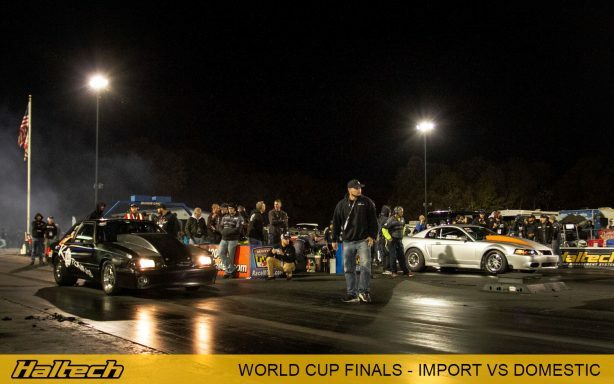 It was awesome to see Cleetus McFarland take to the track with Leeroy The Savage at the event. 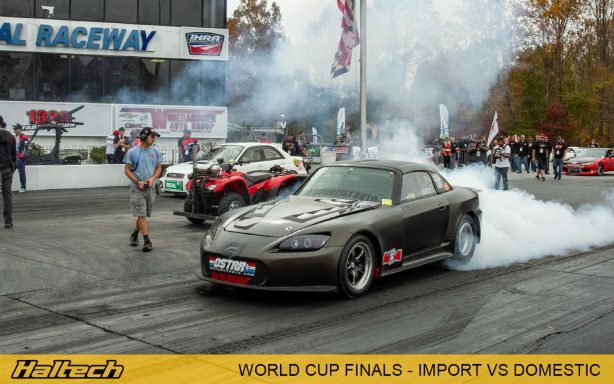 The car struggled with getting the power to the ground but had no problems with massive burnouts. 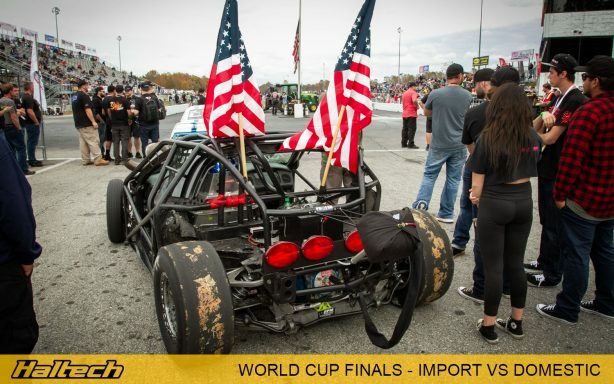 Twin turbo Corvette engine attached to a roll cage sure makes breaking traction a breeze!